With Halloween on Monday, Super7 decided to design and release a limited edition t-shirt to celebrate their favorite holiday! Check out this awesome Halloween Mummy Boy T-Shirt, which is printed on a black tee with glow in the dark ink. It’s a perfect design for the spookiest holiday of the year! 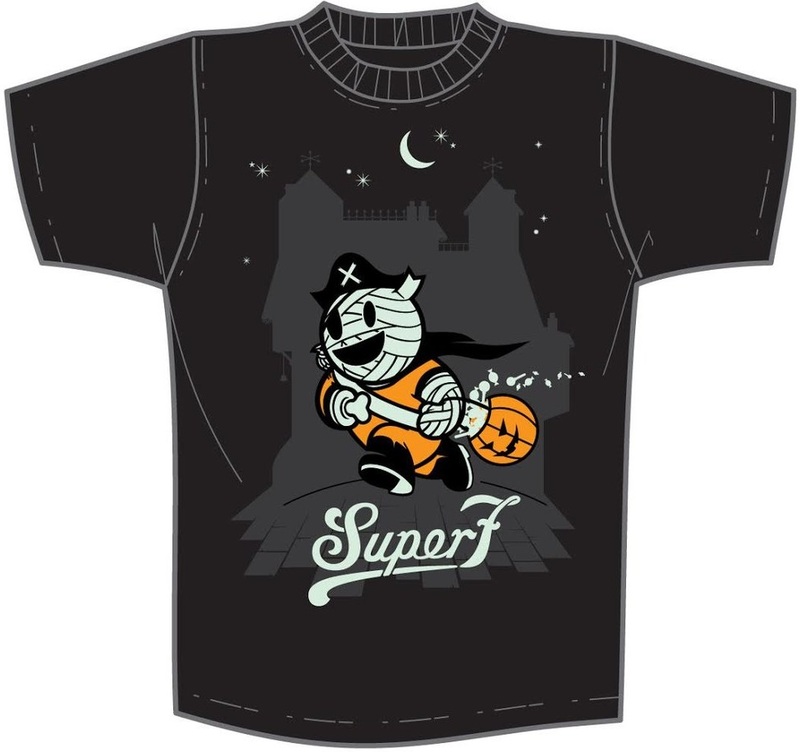 The Halloween Mummy Boy t-shirt is currently available in sizes XS-XXL at all three S7 retail locations and the Super7 online store for $30.